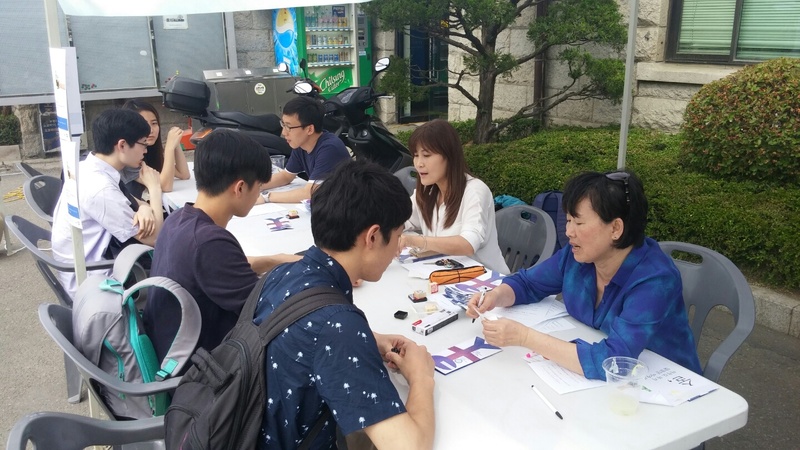 Yonsei University’s Youth Temperance Council (YTC) organized its annual ‘Green Café Campaign’ to promote no consumption of alcohol and other addictive substances. Currently, Korea has an ever-growing amount of societal problems caused by the consumption of alcohol. So many issues such as sexual assault, drunk driving, and addiction problems that irreversibly destruct families and societies are linked with alcohol and continue to get worse. We believe this stems from the general perception of Korean society, which is not properly aware of the fact that these are all incidents directly related to alcohol. And so from this context, we set the target of campus students, who are the future of society and country, to have a proper perception of alcohol by educating the importance of harmful effects it causes. Thus, for the prevention of harmful effects caused by alcohol and to spread a healthy cultural campaign, the Green Café was organized. Mentoring for students was led by Pastor Cho Nam-Hyun (KWCTU associate pastor), Doctor Park Kyung-Il (Ewha Woman’s University of College of Nursing Science), President Hyun Kyung Kim (NZKWCTU). Students were educated about the harms of alcohol and smoking and encouraged to refrain from drinking. Students wore a Fatal Vision® Impairment Goggle (simulates the dulled vision of a person who has consumed one bottle of beer and half a bottle of soju) and play a Basketball Arcade Game, Whac-A-Mole, and walk in a straight line to have a sobering experience of one’s vision after the consumption of alcohol. Students who participated in the activities were given a mocktail to promote a non-alcoholic alternative to alcohol, as well as sausage sizzle. The message of temperance was delivered to around 200 students and among them 100 students was given no-drinking mentoring. Additionally, all students were provided with Christian books donated by KWCTU, selected by Professor Jung Joo Kim. We believe that this was a campaign that will improve students’ perception of alcohol and we pray this is a seed God will use.